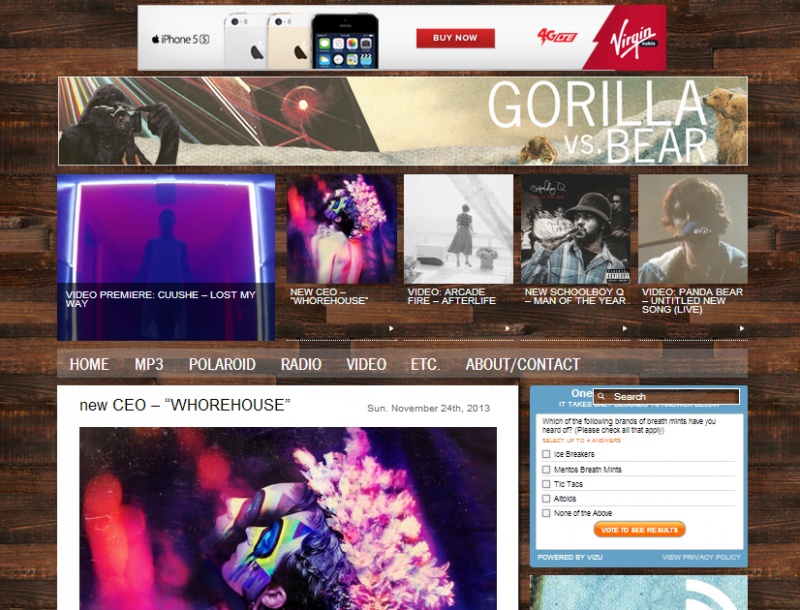 Gorilla vs Bear is a music site that showcases new talent. The traffic was growing beyond what the current platform could offer, so we helped relaunch and provide scalability through converting to WordPress. The site showcases many features that the customized admin allow them to publish, including special treatments of photos, video and music files.